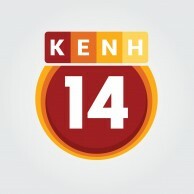 Le nostre PARTNERSHIPS con Hotels, Resorts, Brands and Magazines, e COSA DICONO DI NOI. “It was truly a pleasure to have Alessandro and Luca staying in the beach front pool villa with us. We appreciate the speed and quality that went into your stay experience and social media sharing. As you may know, we are situated in the legendary beach that was listed in the New York Times best seller ‘1,000 places to see before you die’. We are glad to hear that The Globbers had chance to enjoy this place as much as we do here everyday. Thank you once again for those insightful reviews, all of us are incredibly happy and ensure that our decision to collaborate with you was the right choice. We would, without hesitation, recommend The Globbers to anyone who is interested in the travel & lifestyle blogger especially Italian speaking market. 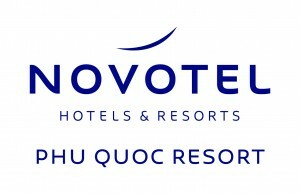 “It was an absolute pleasure to host Luca and Alessandro on our island paradise at Novotel Phu Quoc Resort. We are so pleased they had such a great time and thrilled they could post such gorgeous images of their holiday in the sun. “X2 Koh Samui Resort –All Spa Inclusive is the Thailand first spa inclusive with your room for whole period stay with unlimited spa treatment as of available service hours. “Dear Luca and Alessandro, we are pleased that you both enjoyed your stay at Plataran Borobudur Resort & Spa. Such a pleasant feeling that we have, when you told us that you both also fall in love with Indonesia. “It is a wonderful opportunity to work with Luca and Alessandro as they visit Canggu a newly developed destination in Bali. We are very grateful to serve them and they also made some great photos and post in Instagram that enhances the brand image of Theanna Eco Villa and Spa, Canggu – Bali. Their blog also gives some suggestions related the vacation spot during your holiday. “It was a pleasure to host these gorgeous men on our resort, The Sakala Resort Bali. I am delighted to hear that you have enjoyed our Deluxe Suite Pool View and of course the main pool and its facilities. At any Nilamani Hotels you will find passion and dedication to customer and we will always do our upmost to increase the level of offered services to the next level. It has been an honor and pleasure working with you guys and please keep our relationship in the future. 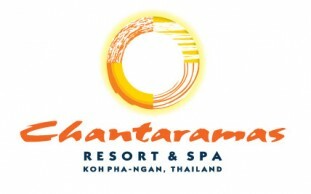 “It was a pleasure to host The Globbers at Chantaramas Resort and Spa. During their stay they took great and detailed pictures of this natural sanctuary in Koh Phangan. We’re so grateful for their effort to promote all our services and for the amazing article where everything is described in the best way. “It was truly a joy to have Alessandro and Luca to be our guests at Sandalwood Luxury Villas. They were very helpful in describing the benefits of being in a small resort with only 14 villas, yet having our own spa and restaurant. While always conducting themselves in a professional manner, they tried to photograph Sandalwood Luxury Villas in the best possible light, even though it was rainy and overcast their whole stay. “Working with The Globbers was seamless from start to finish. They are both professional and passionate in the work they do and the content they create. This passion and professionalism shows through in the moments they capture and the words they write. “During the days of December, The two travel bloggers from the beautiful country, Italia- The Globbers had a delightful stopover in Hoi An. 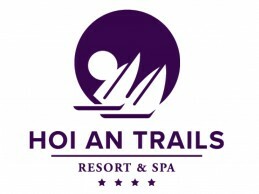 Hoi An Trails Resort & Spa is definitely new highlight to bring pioneering resort accommodation service by both its modern and antique style. “I felt very delightful to meet both of Luca and his partner Alessandro during their visit Siem Reap. They both are very professional blogger and I really feel thrilled when I read their posts. I must tell you I have a deep respect for you. “It was a pleasure hosting Luca and Alessandro at our hotels in Bangkok. Their professionalism, which was present in all of our interactions and communication, is very refreshing. They understood the essence of our brand concept and was able to capture it through their lenses in the various social media postings and review. “I’m so happy you guys enjoyed our stay with us. You are great and I’m sure you will have great fun and success on your path.